Home » Italy » Is Starbucks Fooling Itself In Milano? Is Starbucks Fooling Itself In Milano? Starbucks opened its first coffee shop in central Milan today, with more to follow. Are they crazy? But count me among the extremely skeptical. I’ve never lived in Italy, but I’ve visited more than enough times to know this: Starbucks is the last thing Italians need. Come on, when exquisite coffee is available at coffee shops all over the country, heck, even every roadside gas station, does Starbucks really expect to sell its coffee at a huge premium? …a place where Italian customers can come to discover the art and science of coffee in a breath-taking environment that is both an homage to the city of Milan and a celebration of everything Starbucks has learned about coffee in its 47-year history. We have spent the past year living and breathing the city of Milan, working closely with dozens of local artisans to bring to life our most beautiful retail experience that engages each one of our customers’ senses – sight, sound, touch, smell, and of course, taste,” said Liz Muller, chief design officer, Starbucks. “From the palladiana flooring that was chiseled by hand to the bright green clackerboard made by Italian craftsman Solari, everything you see in the Roastery is intentional, offering moments of discovery and transparency. The press release truly makes it sounds amazing. And maybe it will be. But a couple months ago I took my wife to a Starbucks Reserve in Honolulu and thought the pricey premium coffee did not taste different than the normal stuff. Sure, it was a more authentic “coffee” atmosphere, but the coffee still had that distinct Starbucks taste despite being double the price. I know what constitutes good coffee is extremely subjective. And perhaps the new Starbucks will do well as a tourist attraction. But I have to wonder whether the most important thing, the coffee, will be exquisite. Will you visit Starbucks in Milan? I live in Milan and have no intention of drinking Starbucks coffee. It’s going to do well, but mainly because of tourists. Italy has ubiquitous, amazing coffee. Starbucks has giant, generally over-priced American coffee. I think there is a market. Have a friend that lived in Italy for a few years and he would always seek out a Starbucks when he was traveling elsewhere around Europe. There is no Starbucks reserve roastery in Hawaii. There are only three: Seattle, Shanghai, and, now, Milan. It’s a totally different experience. There are a fairly large number of Starbucks with Reserve products and Clover machines, but that’s not the same. These three facilities roast coffee on the premises and they’re pretty special. I’d be more concerned about Starbucks’ ability to succeed with regular Starbucks in Italy, which is their plan. On the other hand, their consumer research department is a thing to behold, so they might know stuff we don’t. I just meant Starbucks Reserve with the premium beans. I have some barista training and make pretty good coffee at home with home-pro machine (and V60, syphon, …). In new cities the first thing I do is to map the best cafes on map. In normal Starbucks, if I make the mistake, I simply cannot drink anything. If I make the mistake of ordering a milk-coffee there, my stomach will resist soon and I need to visit the loo. I’ve been to Starbucks Reserve Roastery in Seattle and I have to say that they can make a decent coffee there. Despite for being a Starbucks in Milan, I’m quite confident that they’ll do decent coffee there as well. Being in Italy doesn’t mean that they make perfect coffee everywhere. I spend loads of time in Italy. I foresee a starbucks for tourists. Others will go to their favorite bar and get their daily fix there. The owner serving the coffee probably knows everybody’s order by face. The Starbucks concept has worked quite well in the US, although I find it to be a creepy, predatory, deceitful, slimy company; generally it caters to those who have no idea about coffee but are attracted by the slick marketing of the sugary crap /ludicrous concoctions sold at grossly inflated prices ( some of the drinks contain the entire recommended calorie intake for a day, just the drink without food) . It is disturbing to see them opening in some iconic locations in Europe, although as suggested by others they seem to cater mostly to tourists. Many cities have restricted their locations and signage, thankfully. They set out to dominate the world market, McDonalds style, opening thousands of stores; in some places it has worked, in others it has failed, eg Australia, where they had to close more than half..a mega flop. I hope the Milan venture fails. Americans will flock to familiarity! It’s quick and easy. I see a place for it. Starbucks in Italy can work in small doses. Anywhere you have a large collection of tourists, you’re going to have demand for Starbucks. The Corporate Newspeak aside, I suspect that’s what they’re targeting. This does beg the question, though. Does visiting Starbucks in Milano count as “genuine travel”? Or only if you strike up a conversation with the barista about Italian politics? If it is like the Starbucks Reserve Roastery in Seattle, it isn’t just about the coffee. It also has the Prinz Bakery, which has amazing bread and other baked goods. I don’t think it is a place you go to on a daily basis, like you would your neighborhood Starbucks. It is more of a destination place. Lots of coffee tastings and fancy beans. You can’t order a lot of the drinks you would at a normal Starbucks. Also, souvenirs there are REALLY expensive. I would definitely go if I was visiting Milan. Starbucks Milan is the ” noi ragazzi di oggi” choice. It provides the e stimoli eccezionali. Honestly,how can you argue against beans roasted on premises vs a bag version? So Starbucks is going to show the Milanese how to make coffee? Everyone said the same when McDonald’s opened a restaurant in Italy (albeit 30 years ago) and now they are ubiquitous. Never forget the power global brands have over the youth, – it will be a success and not just for tourists. I travel to Europe 3 or 4 times each year for multi week trips. I seek out Starbucks for their easy ordering, consistent menu, good wifi, and opening hours. I am in Amsterdam right now and it’s 6:30 in the morning, Starbucks is already open and the local coffee shop opens at 10:00? Who do you think will get my business this morning? Starbucks wins because local shops are to stubborn to change and simply let Starbucks win. I remember people saying the same thing when Starbucks opened in places like Madrid…and Starbucks is still there. 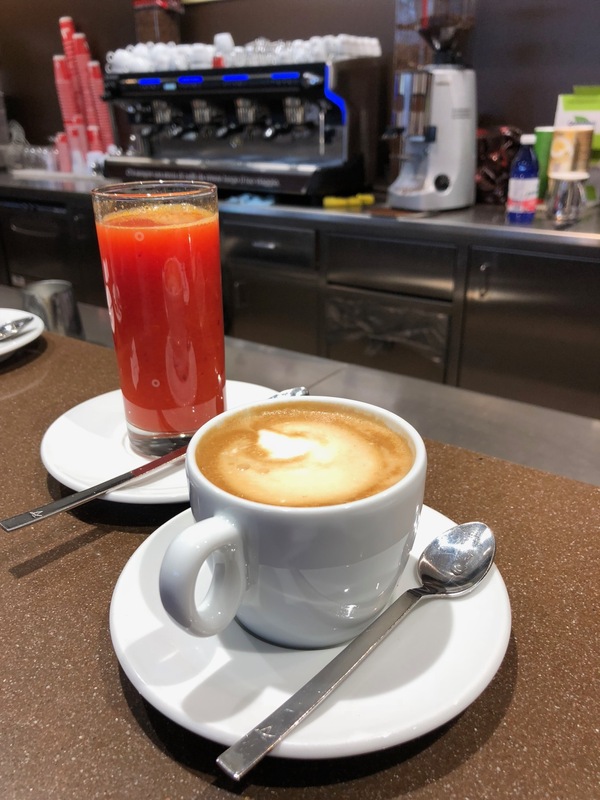 This will be popular with tourists who want to drink ‘Italian coffee’ but want the familiarity of recognising the menu and not having to step outside their comfort zone. I think this will be very sucessfull. Indeed very skeptical of this opening.And curious about the prices. The standard price for an espresso in Italy us 1Eur and a cappuccino is 2. Even in Milan which is one of the most expensive cities. Indeed people will come to see the place, to enjoy the atmosphere and not exit the comfort zone if Americans, but for having a coffee? hey no. Exactly…and I thought that is required by law for those standing at bar. Those photos look like it’s a roastery, so it’s not comparable to the reserve location in Honolulu. The square footage is totally different, and this Milan one you’re showing us doesn’t look like it’s shoehorned into the bottom of a hyatt centric. Some people will be attracted to pay several dollars/euros for a coffee just to experience and enjoy the space, building, interior design, vibe etc. Looks like it’s a showcase for the brand. I am an American living abroad in rome. I fully admit their coffee here is of much higher quality and presents a better value than back home. However-I cannot find cold brew or traditional iced coffee anywhere in the country (which I far prefer to hot coffee). Plus-coffee is usually not available to go. And finally they only offer small “shot sized” espresssos as opposed to 12 oz + drinks. I am always on the run and like to sip my cofffee on the go over the course of my morning so a Starbucks would be welcome imo. How many of asians tourist now italian coffee or an espresso? While starbucks already made their name known globally as a brand that offers coffee. Italians or even a decent knowledgeable human being would despise the very idea of going to starbucks for a coffee in italy. At least you can have coffee elsewhere without seeing any disturbing chinese tourist…. Totally agree with the writer. If you go to Italy you do NOT need a Starbucks coffee. Coffee is an art with pleasure in Italy. Everyone knows that the best things are in there coffee, pizza and pasta. At least the building looks beautiful but I think it’s waste of money.